University of Delaware The First Week of Class Institute for Transforming Undergraduate Education. 4 I was expecting more students to show up today – this happens every year -- so I will probably repeat some of this next class. Heh, but at least you guys showed up! If you don't have any questions, we can adjourn early. 6 At the conference, I learned a lot of new things that I would like to try this term for the first time, esp. problem-based learning. 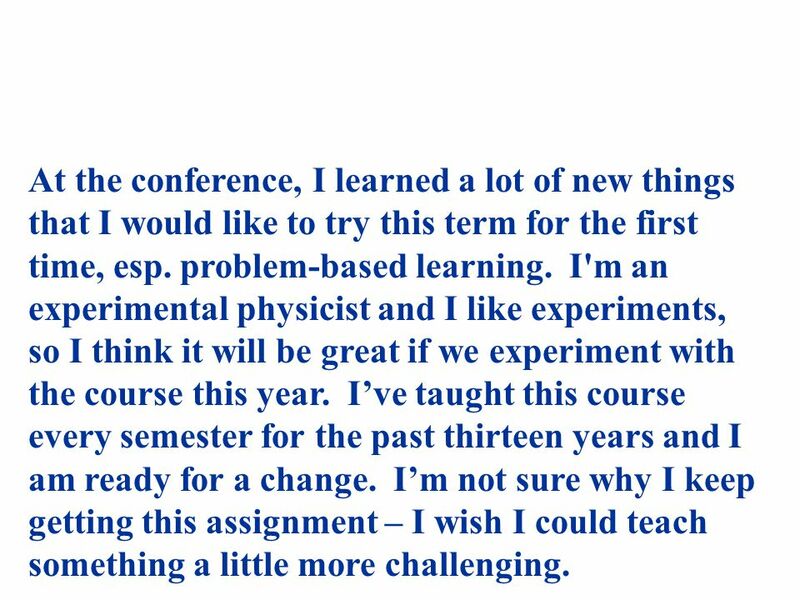 I'm an experimental physicist and I like experiments, so I think it will be great if we experiment with the course this year. 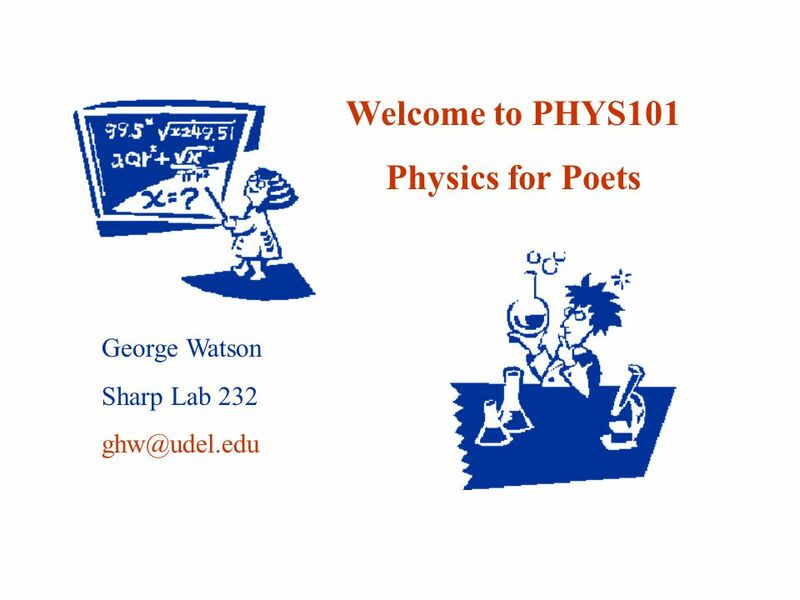 I’ve taught this course every semester for the past thirteen years and I am ready for a change. I’m not sure why I keep getting this assignment – I wish I could teach something a little more challenging. 7 Problem-based learning is all about group work. 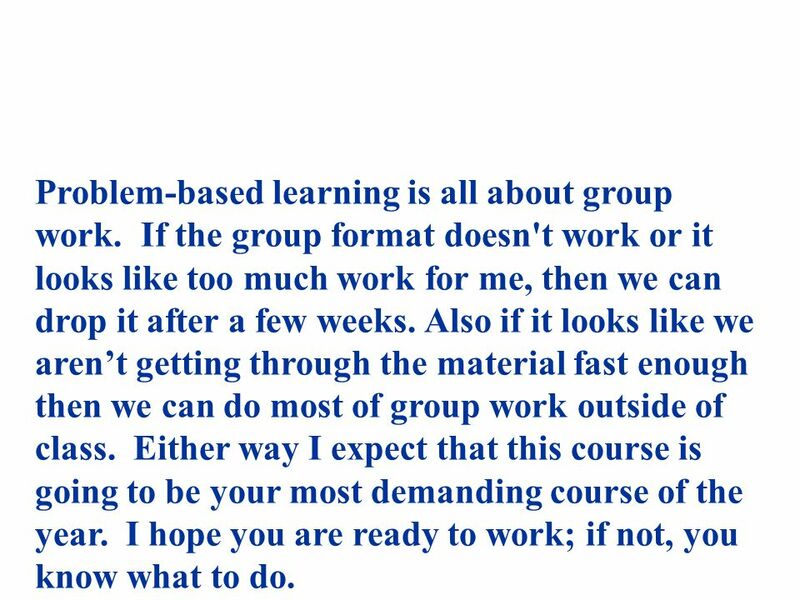 If the group format doesn't work or it looks like too much work for me, then we can drop it after a few weeks. 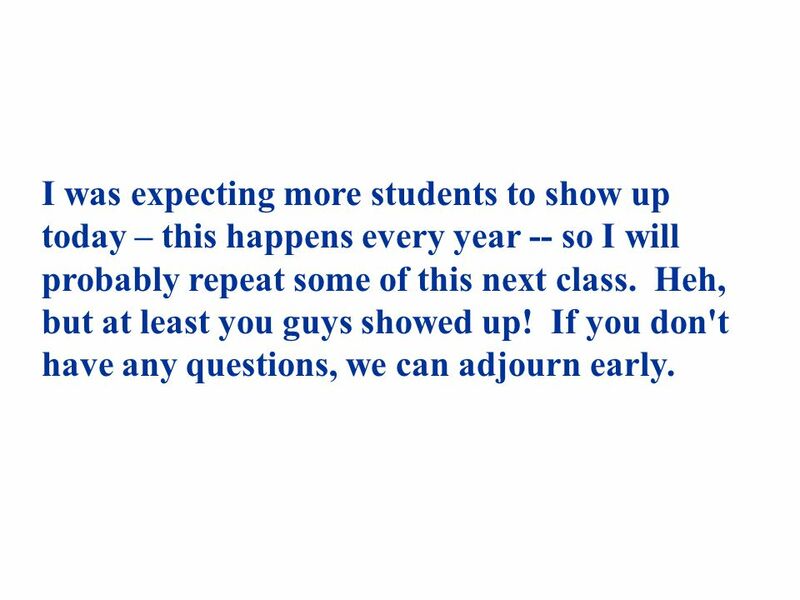 Also if it looks like we aren’t getting through the material fast enough then we can do most of group work outside of class. 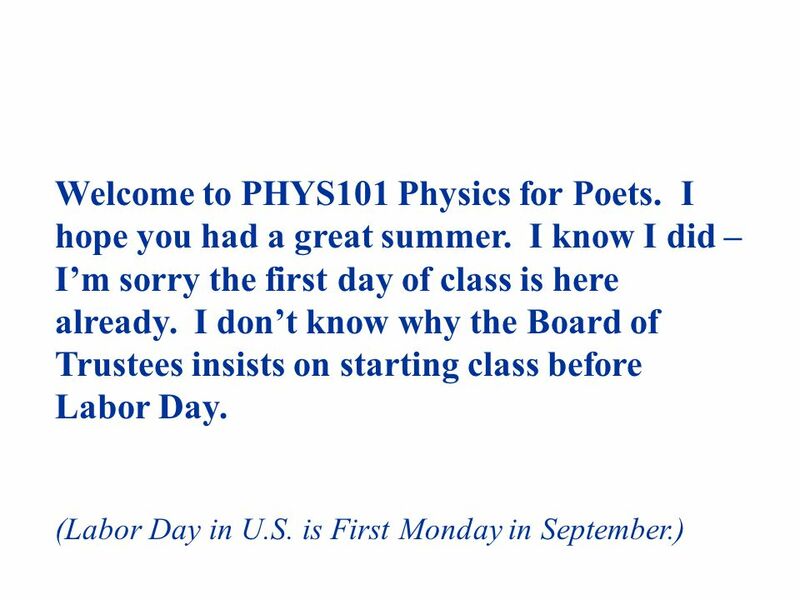 Either way I expect that this course is going to be your most demanding course of the year. I hope you are ready to work; if not, you know what to do. 8 Personally, I hated working in groups in college, but it's very important for you since that's the way it is in the real world - at least that's what I've been told since I've always worked at the university and never in the real world. 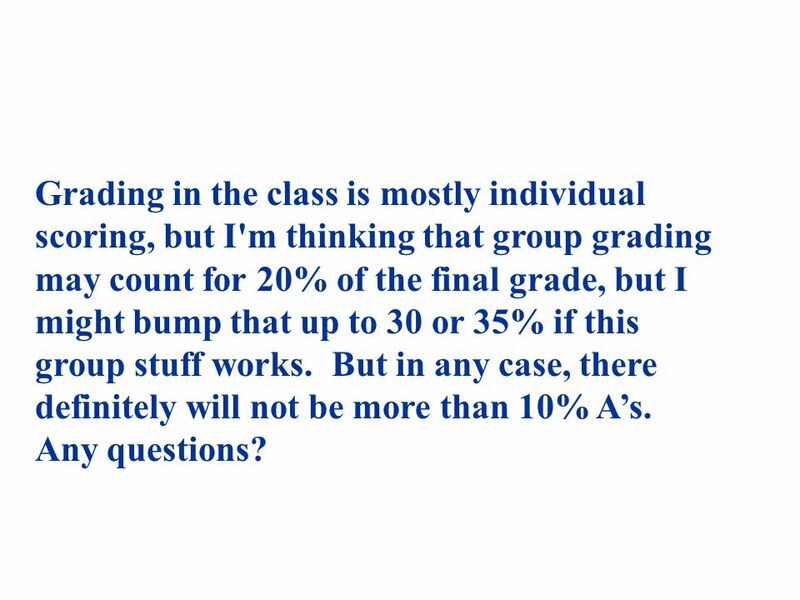 9 Grading in the class is mostly individual scoring, but I'm thinking that group grading may count for 20% of the final grade, but I might bump that up to 30 or 35% if this group stuff works. But in any case, there definitely will not be more than 10% A’s. Any questions? 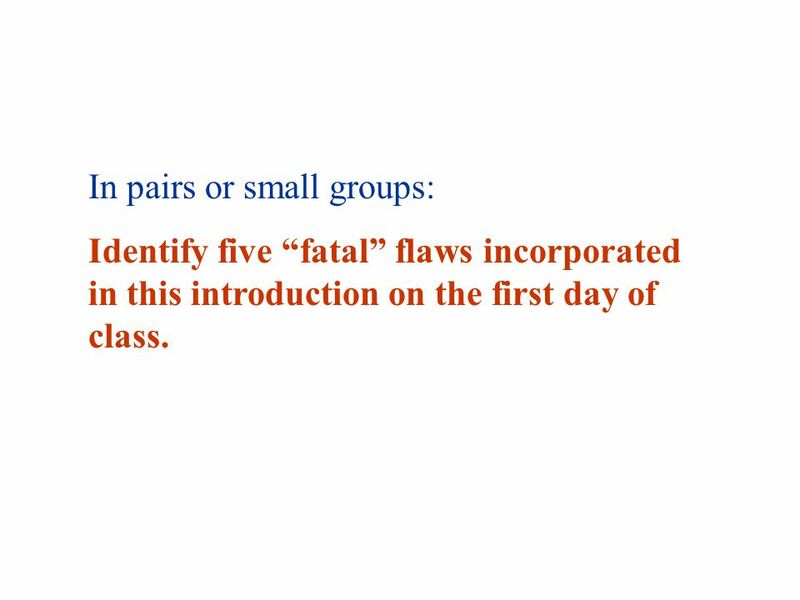 10 In pairs or small groups: Identify five “fatal” flaws incorporated in this introduction on the first day of class. 11 1.I have a lack of enthusiasm for teaching. 2.I am discontented with the university administration. 3.We all know that the first class is not critical. 4.I acknowledge a lack of preparation for class. 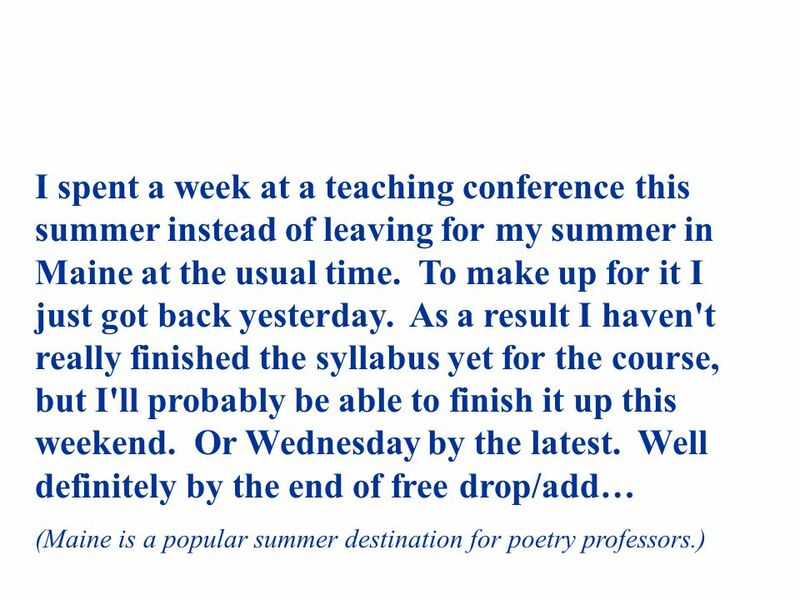 5.Summer is vacation time for the faculty. 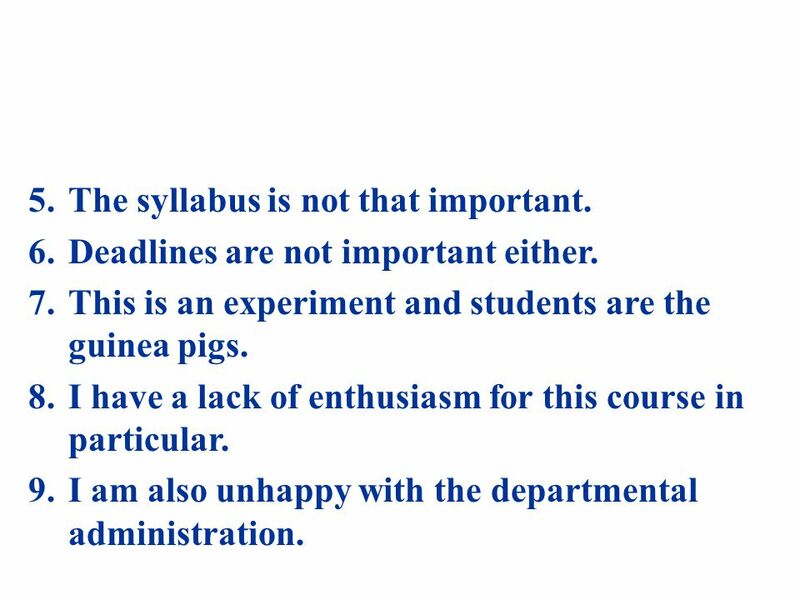 12 5.The syllabus is not that important. 6.Deadlines are not important either. 7.This is an experiment and students are the guinea pigs. 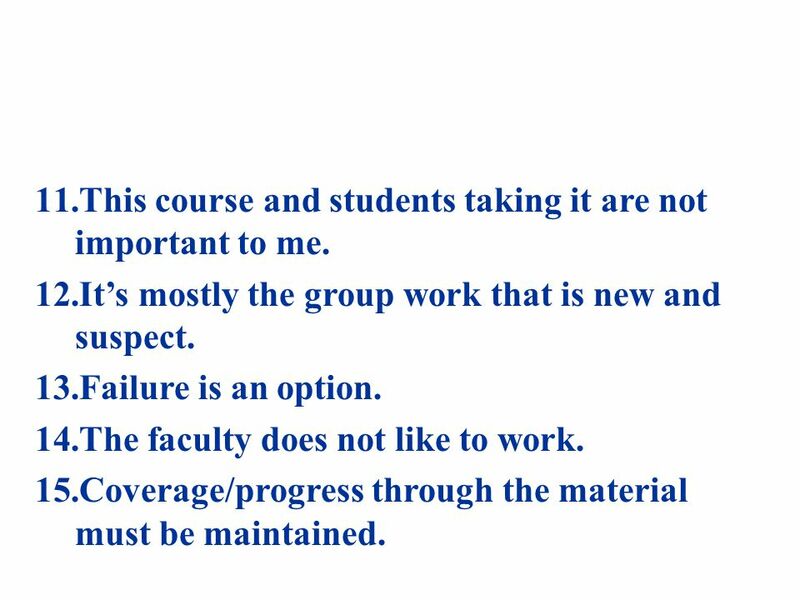 8.I have a lack of enthusiasm for this course in particular. 9.I am also unhappy with the departmental administration. 13 11.This course and students taking it are not important to me. 12.It’s mostly the group work that is new and suspect. 13.Failure is an option. 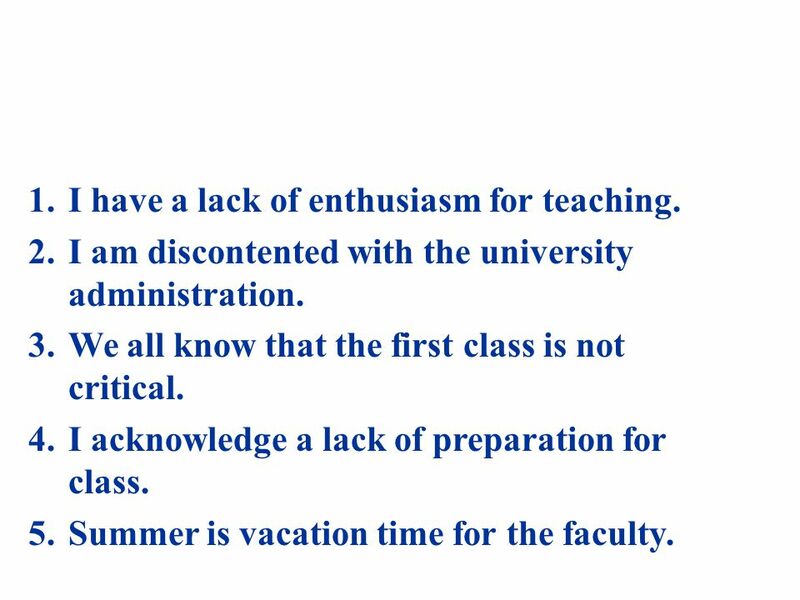 14.The faculty does not like to work. 15.Coverage/progress through the material must be maintained. 14 16.More work outside of class is likely. 17.This course is tough; get out before it’s too late. 18.I am uncomfortable working with groups. 19.I do not relate to the world of the students (and parents). 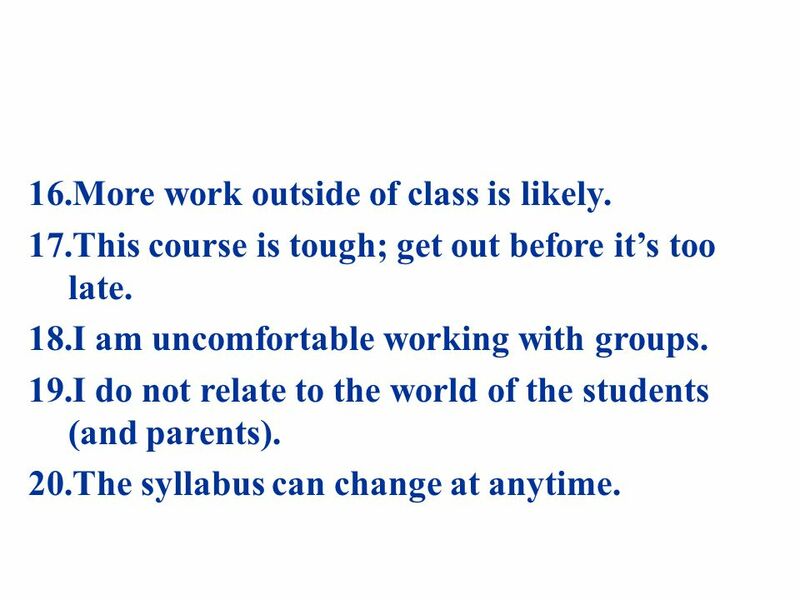 20.The syllabus can change at anytime. 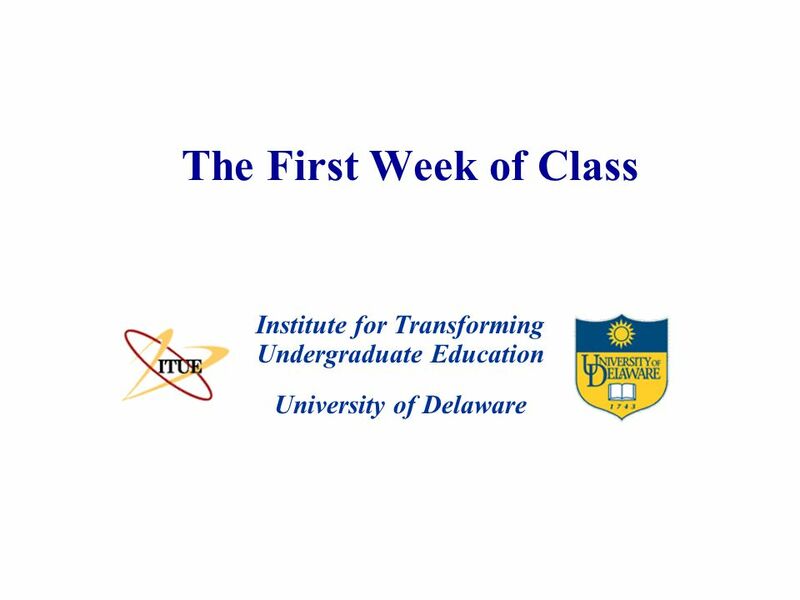 Download ppt "University of Delaware The First Week of Class Institute for Transforming Undergraduate Education." Deena Sue Fuller Tennessee State University Adapted from a presentation by Brenda Marsteller Kowalewski at Weber State.